Most insurers offer policies with coverage periods of six months, and in some states, 12 months. While these terms meet the needs of most policyholders, some drivers either require coverage for relatively short periods of time or cannot afford to pay for 6-12 months of coverage at once. In such situations, temporary car insurance can offer a solution. Depending on the issuing carrier and the policyholder's coverage needs, a short term car insurance policy may have a term of anywhere from one day to several months. Below, you'll find an overview of what temporary auto insurance is and descriptions of scenarios in which you might prefer it to standard coverage. 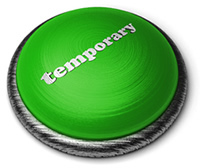 What Is Temporary Auto Insurance? Short term auto insurance usually involves a policy with a coverage term of less than the traditional six-month period. Companies typically tailor the coverage period to each policyholder's individual needs, so terms might include a single day, a week, or a month. A temporary policy offers all the protections of a long-term policy; the only differences are the coverage period and the cost. Generally speaking, the shorter the term you choose, the more expensive a temporary car insurance policy will be. Consequently, a single-day policy is the costliest of all short term coverage. The most common use for temporary car insurance is to facilitate the transfer of a newly bought vehicle from the site of purchase to the buyer's home. Such policies protect the vehicle en route to the buyer's home and while in the garage or other parking place until the owner can purchase a long-term policy on the vehicle. Dealerships sometimes offer these short term car insurance policies on site by partnering with a particular insurance carrier, but if you buy your car elsewhere, you might have to find your own policy. 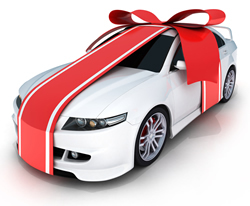 Likewise, you might also purchase temporary auto insurance if you intend to borrow a vehicle for any length of time. Although car insurance follows the vehicle typically, the policy of the person who owns the car you wish to borrow may not cover you for extended periods of time and might not cover any losses whatsoever if you are personally uninsured. If you plan to borrow someone else's vehicle for more than a week or so, you might consider purchasing short term auto insurance to make sure you and the vehicle are completely covered if any accident occurs. Finally, temporary car insurance is a smart option for owners of vehicles that will be in storage for a prolonged period of time. For example, you primary policy may be about to expire, but you know you will be leaving the country for a while in a month, and the vehicle will sit in the garage while you're away. In that case, you might want to purchase a short term policy for 30 days and then purchase either a short- or long-term policy thereafter that offers only comprehensive protection on the vehicle while in storage. The same principle applies to vehicles that are driven only seasonally, such as collector's cars, that spend most of the year in storage.